Enterprise IT infrastructure spending increased further in 2017, with Cisco maintaining a healthy aggregate lead over closest rivals Hewlett Packard Enterprise, Dell EMC and Microsoft. According to Synergy Research Group findings, six key enterprise infrastructure segments span data centre servers, switches and routers, network security and WLAN, alongside hosted and cloud and on-premise offerings specific to collaboration. During the past 12 months, vendor revenues increased by nearly three per cent on an annualised basis, with aggregate revenues reaching US$113 billion, with revenue in each of the last twelve quarters typically in the US$26-29 billion range. Delving deeper, data centre servers comprise the largest segment of the market, though revenues here declined by almost one per cent in 2017. Meanwhile, switches and routers are the second-largest segment and experienced growth of four per cent, with hosted and cloud collaboration growing the most while on-premise collaboration continued to be challenged by aggressive price competition and market disruption. “Despite a burgeoning public cloud market, enterprise IT infrastructure spending was still on the rise in 2017 and will be for the next five years,” Synergy Research Group chief analyst Jeremy Duke said. “The focus of that spending is changing, however, with a growing emphasis on hosted solutions, subscription-based business models and emerging technologies. Those changes will continue to present challenges for incumbent vendors and opportunities for new market entrants. From a vendor perspective, Cisco remains the dominant enterprise provider, operating as the market leader in four of the six segments with the exceptions being hosted and cloud collaboration, where it is ranked second, and data centre servers, where it is ranked fifth. 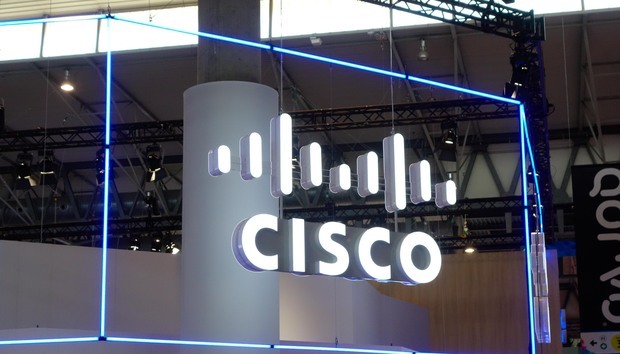 In aggregate across the six segments, Cisco’s market share over the last four quarters was 26 per cent, down a percentage point from the preceding four quarters. HPE is the second ranked enterprise vendor with a market share of 11 per cent across the six segments, with the tech giant a the leader in data centre servers, the number two ranked vendor in WLAN and ranked third in switches and routers. Despite such dominance, hosted and cloud collaboration is the one area where neither Cisco nor HPE are the top vendor, with Microsoft the leader in this segment. In addition, the number two ranked vendors in the other segments are Dell EMC (enterprise data centre servers), Huawei (switches and routers), Microsoft (on-premise collaboration) and Check Point (network security). Furthermore, major vendors who have achieved particularly high 2017 growth rates in these highly competitive markets include Super Micro, Arista Networks and RingCentral.